At a budget price, this stainless steel vape does not feel or perform like a budget device! 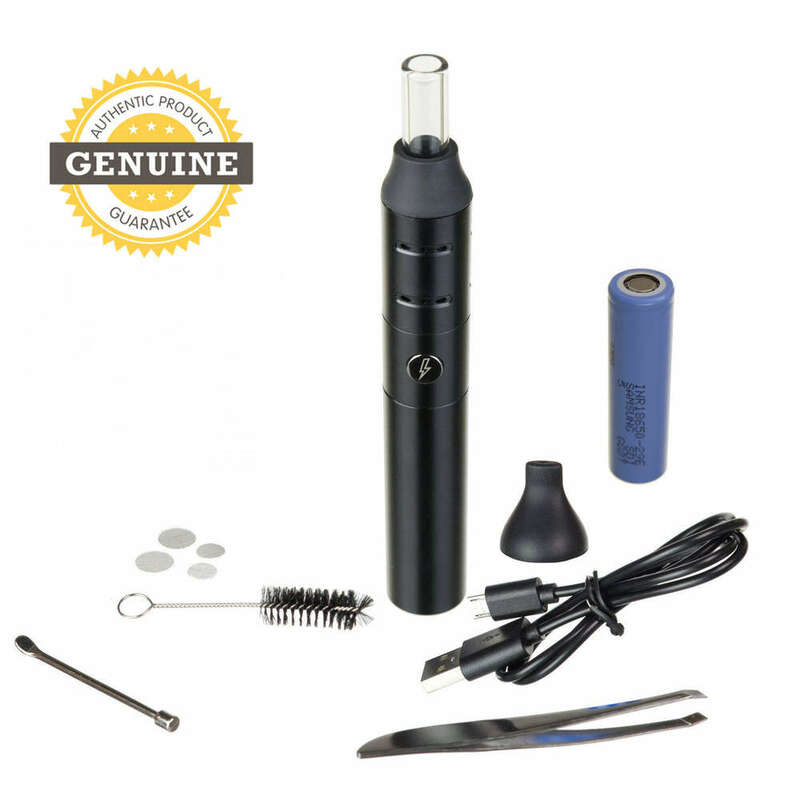 The Storm Vaporizer Pen is a high-quality, simple to use and well built portable vaporizer for herbs, resins and oils. This is the latest version, with improved airflow and includes a glass mouthpiece for better flavour. It has a replaceable 18650 battery, which means you can carry spares so that it's always ready to go! One charge will last for up to an hour's vaping. (depending on heat setting). It heats up in around a minute, and has a 5 minute auto-shut-off feature to preserve the battery. Unlike most portable vaporizers, Storm's air path is isolated from its electronics, which means pure, incredibly tasty vapour, whether using herbs or concentrates. Storm has a ceramic chamber and a food-grade rubber mouthpiece, in addition to the glass mouthpiece also included, with stainless steel screens. Its stealthy design is no bigger than many e-cigs and the simple one-button operation allows you to choose from 5 temperature settings, from 180°C to 220°C. The Storm Vaporizer combines affordability with unrivalled quality, making it ideal for first-timers and seasoned vaporists alike. Sturdy, discreet, and incredibly simple to use, Storm performs better than vaporizers that are twice its price.